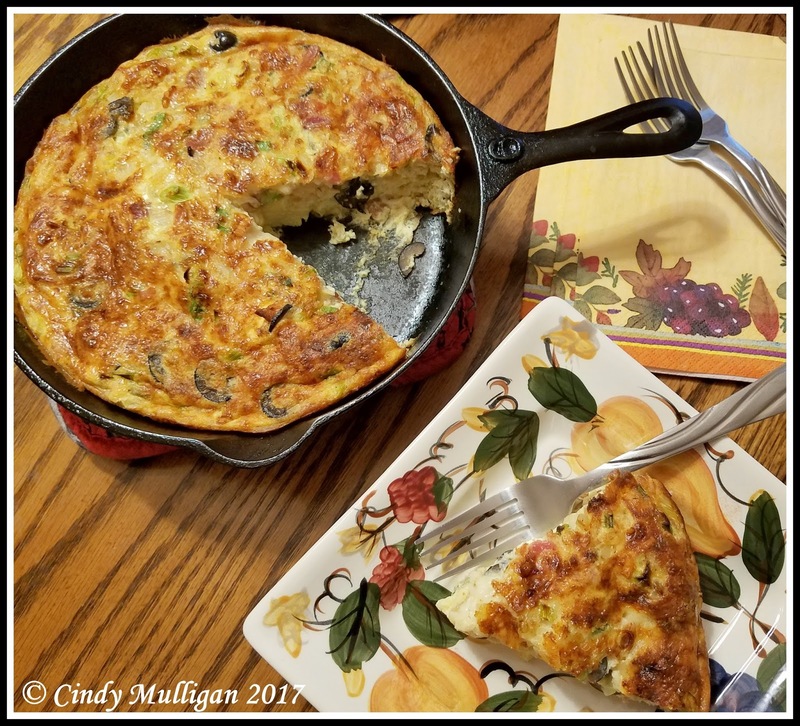 I'm Cindy, and I love to cook! And, I love to eat... hence the size of my rear end! I come from a long line of cooks. My great great Grandmother was a cook in the original Harvey Houses. My grandmother Julia was an awesome cook, and my mom was incredible. I owe my skills to these great women. Especially my Mom who said this to me about making gravy... "Cindy Lynn, wallpaper paste is wallpaper paste & gravy is gravy. Never the two shall meet!" Shall we say my first experience at making gravy left a little bit to be desired! Thank the high heavens my cooking skills have improved since then! Enjoy! This is another dish inspired by a Weight Watchers recipe. The spices and chilies are so warming. 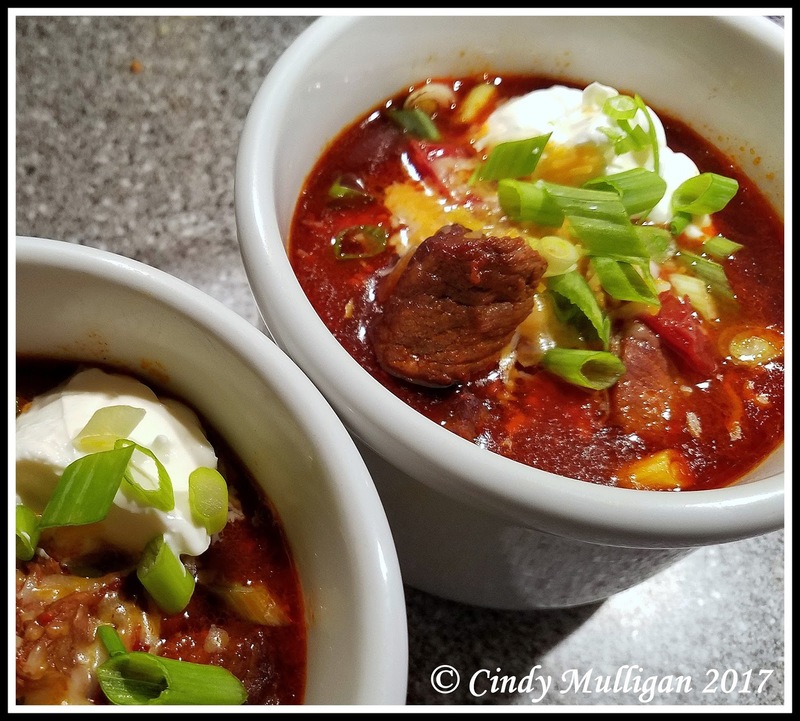 This is a “stick to your ribs” chili that is so scrumptious, especially with the various toppings. You can use different types of beans, if you prefer. You could also substitute beef or turkey for the chicken. This is a fairly quick meal to make. Serve with a side salad and some crusty bread and your taste buds will be very happy! Heat your cooking pot and drizzle some olive oil into it. Add the chilies, green onions and garlic. Saute until the peppers are charred; about 5 minutes. Add the ground chicken breast and continue cooking until the chicken is cooked through. Stir in the Chili Powder, Cumin, Salt & Pepper. Combine well. Add the tomatoes, beans and water; bring to a boil. Reduce heat to low, cover and simmer for about 1 hour. Serve with garnishes of your choice. Note: My food processor has a graduated tiered blade, rather than just the blade at the bottom. So, rather than purchasing already ground chicken, I’ve been grinding my own using the food processor. I cut two breasts into chunks and then place in the freezer for about 1 hour. Having them be partially frozen makes them easier to grind. I find that doing this myself is more economical – and I get only the breast and not a lot of added fat. It’s a win-win! You could also substitute turkey for the chicken, if you prefer. Add all ingredients to a cocktail shaker filled with ice. Shake well. 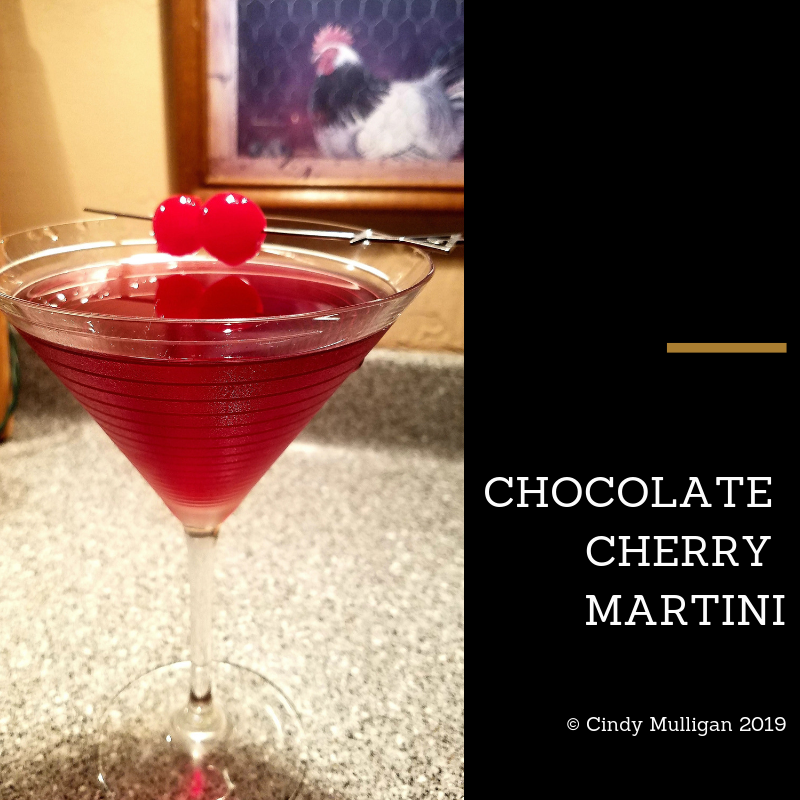 Serve with Cherry Garnish. Note: I’ve also substituted Cherry Whipped Vodka for plain cherry vodka – and I’ve swapped out 1 oz of Chocolate Whipped Vodka for 1 oz of the chocolate liquor. Equally delicious!! I found this recipe from the Weight Watchers site. It is SO good. You’ll have no idea that these are “dietetic”. At only 1 smart point each, you can treat yourself with zero guilt. When I made these for my husband and myself, I only baked and filled 8 shells at a time, 4 for each of us. I kept the filling in the plastic bag and was able to have these over several evenings. What a delightful indulgence! Bake phyllo shells on a baking sheet for about 5 minutes, until they’re lightly toasted. Allow to cool. Garnish each filled shell with a berry. Serve immediately, or cover and refrigerate for up to 4 hours. If you leave them filled for too long before serving, the shells will get soggy. I found this recipe on the Weight Watchers site. I’ve adjusted it slightly, but haven’t affected the point value. (If you’re interested, this serves 6. One serving is approximately 1.5 cups, for only 1 Smart Point!) This is super delicious. We do love our beef and chicken - but I don't miss the meat in this fantastically flavorful chili. In a 4-quart or larger slow cooker, combine tomatoes, tomato paste, oil, both types of chili powder and cumin. Add zucchini, corn, both types of beans and poblanos; stir to mix well. Cover and cook on LOW setting until vegetables are tender, about 6 hours. Stir in cilantro and enough water to desired consistency; season with salt. 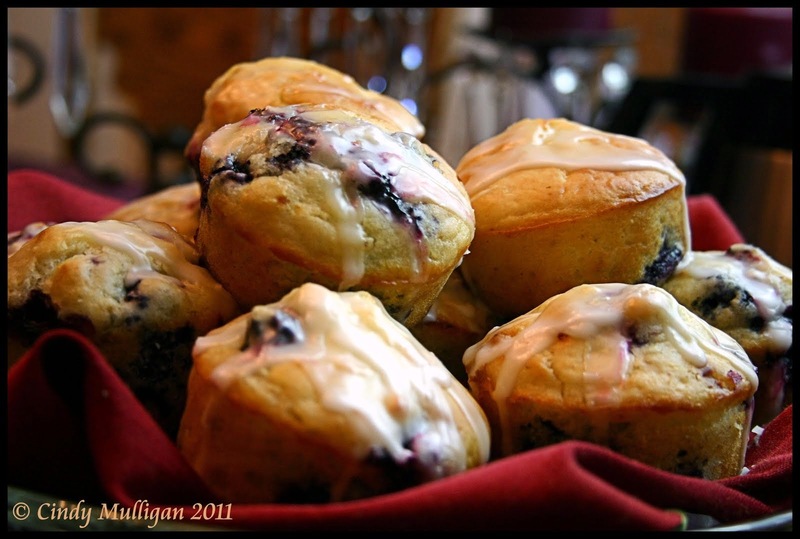 Yields about 1 1/2 cups per serving. I don't remember where I saw these first - but I can tell you with certainty they are FABULOUS! 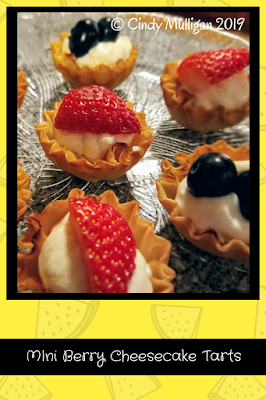 These delightful little treats are quick and easy to make and are sure to wow your guests! 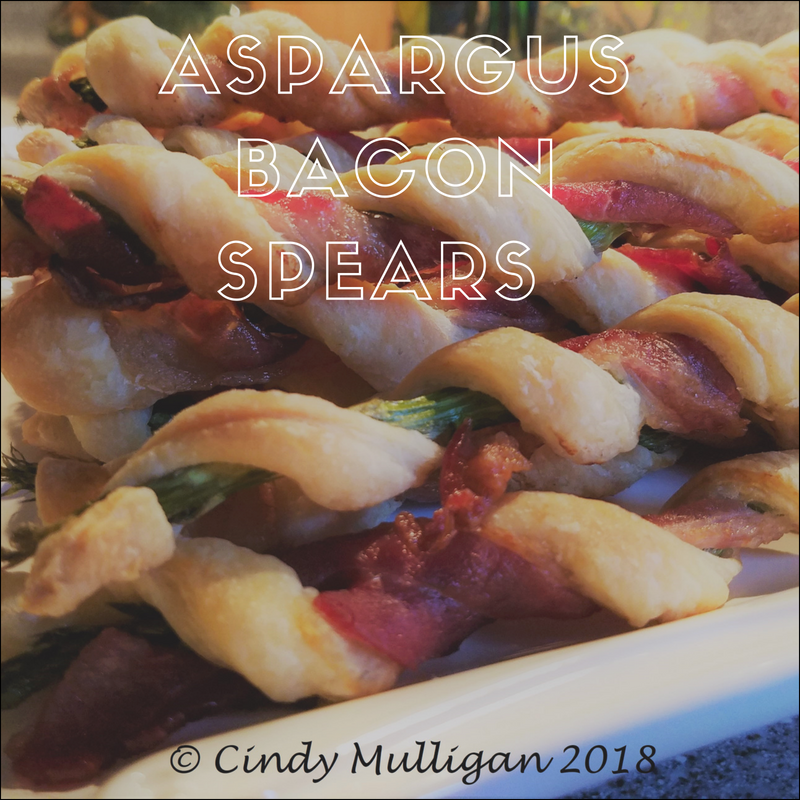 The smokiness of the bacon combines perfectly with the freshness of the asparagus and flavors the puff pastry too. It truly does illustrate that EVERYTHING is better with BACON. Cheers! Wash, dry and trim the ends of the asparagus. Using a pizza slicer, slice the puff pastry into long 1/2” strips – cutting on the longest side of the rectangle. Should be able to get approximately 18 – 20 strips. Cut the bacon in half lengthwise. Twist/wrap one slice of bacon around the asparagus spear in a corkscrew spiral manner. Next, wrap one slice of puff pastry around the spear of asparagus and bacon. Place on baking sheet. After all spears are completed, brush with egg wash. Sprinkle salt and pepper over all. Bake for approximately 18 minutes until they’re puffed and golden brown. Full disclosure, I found this recipe here: ThatSkinnyChickCanBake. I love working with Puff Pastry because it takes an everyday recipe and makes it look super special and fancy. These little pinwheels are no exception. 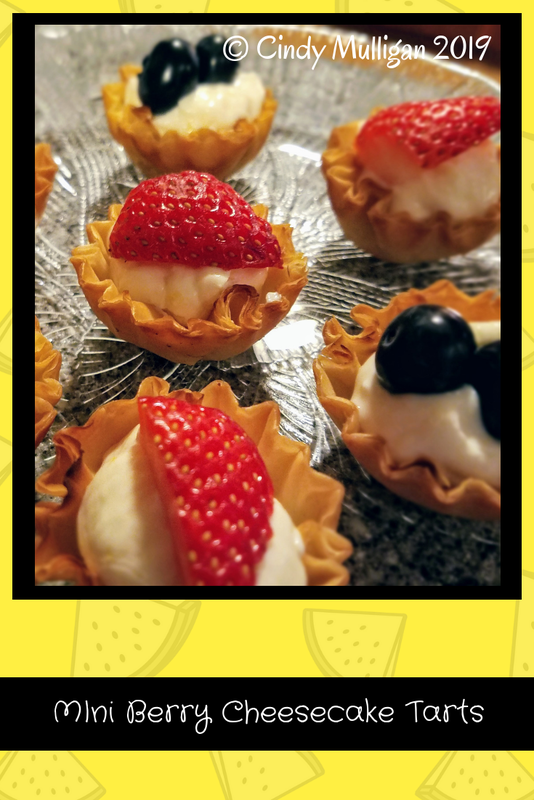 They’re easy to make, look elegant and taste delicious. Whisk together the egg and water, set aside. Mix together the cheeses, onion and seasonings. Set aside. Roll out the puff pastry on a lightly floured surface to flatten the seams. Brush the surface with your egg wash.
Top the surface with the cheese mixture, then break apart the spinach and spread evenly over the surface. Note: Leave about an inch free of toppings on one of the short sides. Starting on the short side that’s covered with filling, roll up the pastry like a jellyroll. Line two baking sheets with parchment, or if you have a Silpat you can use that instead. Slice the roll into 1/2” - 3/4" slices and place them on the prepared sheets. Pop into the refrigerator or freezer to let them cool as the oven preheats to 400 degrees. Bake for 15 minutes or until they’re golden. 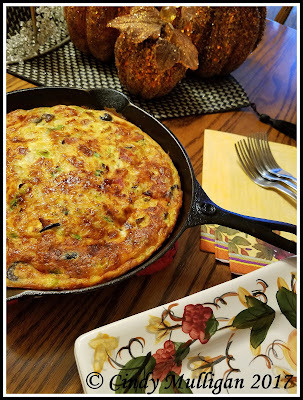 For our most recent dinner and a movie with friends, we celebrated Greece and watched the movie Mamma Mia. I was responsible for the appetizers, so I put together a Greek Meeze platter. 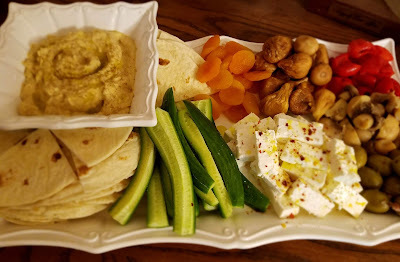 I got some Roasted Garlic Hummus, Persian Cucumbers, Greek Feta Cheese and Middle Eastern Flat Bread from Trader Joe's. I also purchased some Almond Stuffed Green Olives, Marinated Mushrooms, Pepadew Peppers and Dried Apricots and Figs. Place it all on a platter, drizzle some Greek Olive Oil over the hummus and Feta - and you have an easy appetizer spread. Enjoy! We all know that pork pairs really well with fruit - especially apples. The inspiration for this recipe came from Pinterest. I took two recipes and melded them together – and added a few twists of my own. This was super easy to make and the flavor of the warm spice with the apples and pork was delectable. 1 White Onion, sliced lengthwise (See pictures below the recipe) Separate the two halves of onion because you’ll need half the onion for under the pork and half the onion for the top. Combine the salt, cinnamon & pepper in a small dish. Score the Pork Roasts. Sprinkle some of the spice mixture over the pork and rub into it – including into the scored pieces. Slice one Granny Smith Apple. 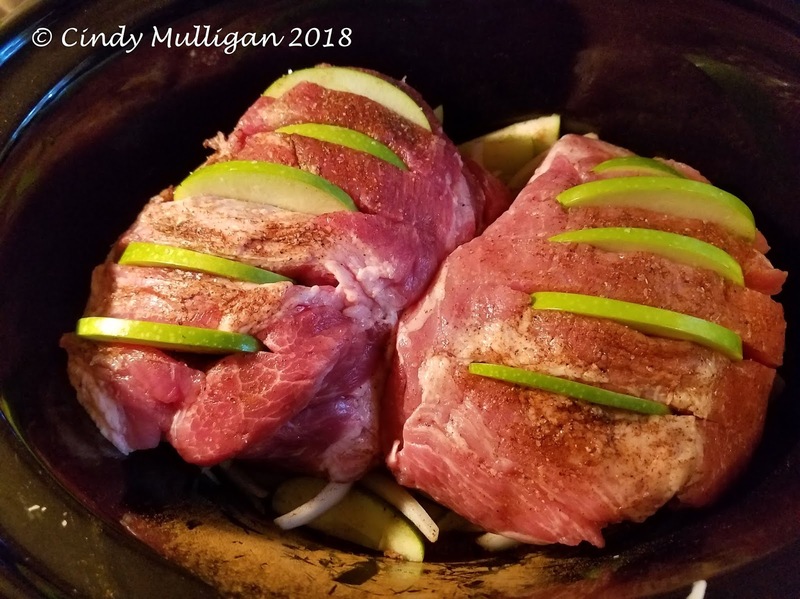 Place one slice of apple into each of the cuts in the pork. 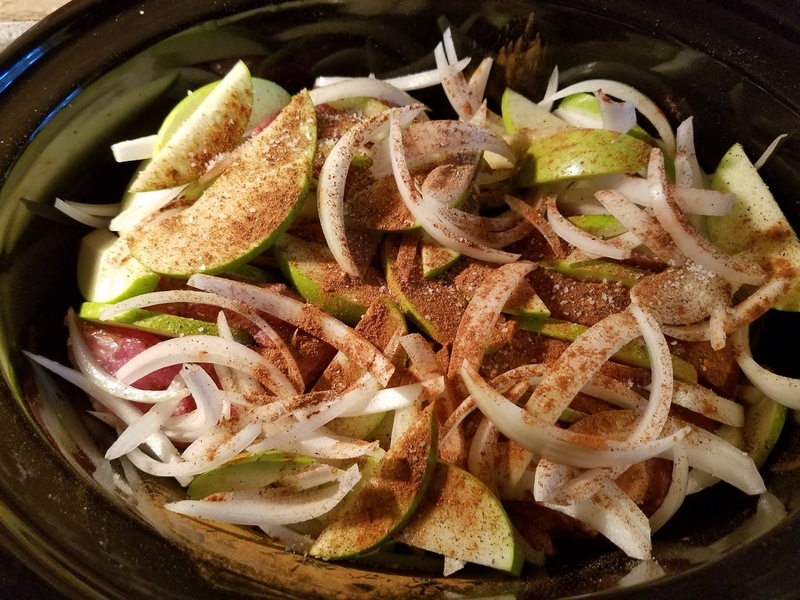 Place the left-over apple slices and half the onion in the bottom of the crock pot. Add the garlic and the remaining spice mixture. Toss together. Add the dry white wine. Place the two pork roasts on top of the apple/onion mixture. Slice the remaining Granny Smith Apple. Arrange over the pork. Arrange the remaining half onion over the apples. Sprinkle a little additional salt, pepper and cinnamon over the apples and onions. 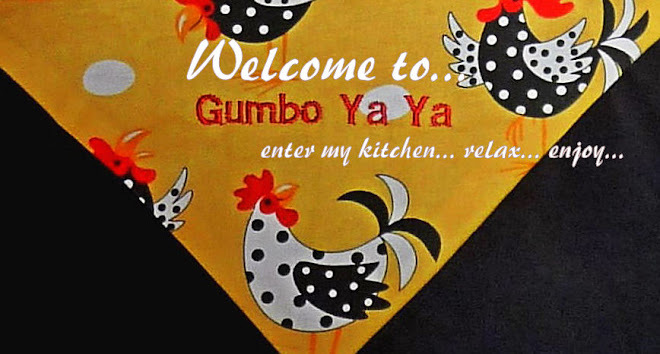 Put the lid on the crockpot. Cook on high for 1 hour. 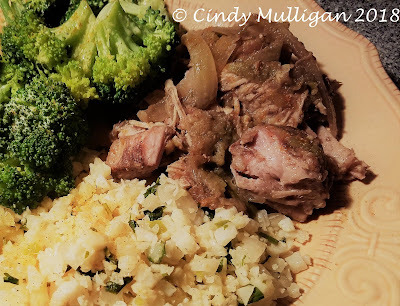 Reduce cooking temperature to low and continue cooking for an additional 5 – 6 hours until the pork is falling apart. I found the basis for this recipe on www.showmetheyummy.com. I’ve kept the basic recipe but changed up some of the ingredients. Decided to make it for breakfast this morning. One word – YUM! Creamy, cheesy, perfect deliciousness. It was easy to make. The most difficult part was waiting for it to cool after it came out of the oven. I’m fairly certain this will be making an appearance on our table several times throughout the holidays – and beyond! Cook over medium heat until crispy (cook 2 pieces at a time). Remove bacon, but keep the grease. Crumble bacon and set aside. Add in diced onion to the bacon grease. Cook for 5 minutes, or until tender. Add in garlic. Saute for 30 seconds. Remove from heat. Drain some of the bacon grease from the onions onto a paper towel. In a large bowl, whisk together the eggs and milk. Stir in the cheese, salt, white pepper, nutmeg, cayenne, green onions, olives, bacon, and onions. Wipe out the skillet; spray the sides with cooking spray. Pour mixture into prepared pan. Bake for 30 minutes or until the egg mixture has set. You can check this with a toothpick. Or you can see once the egg mixture isn’t jiggly. Baking time may vary depending on pan you use. I used the hot skillet. 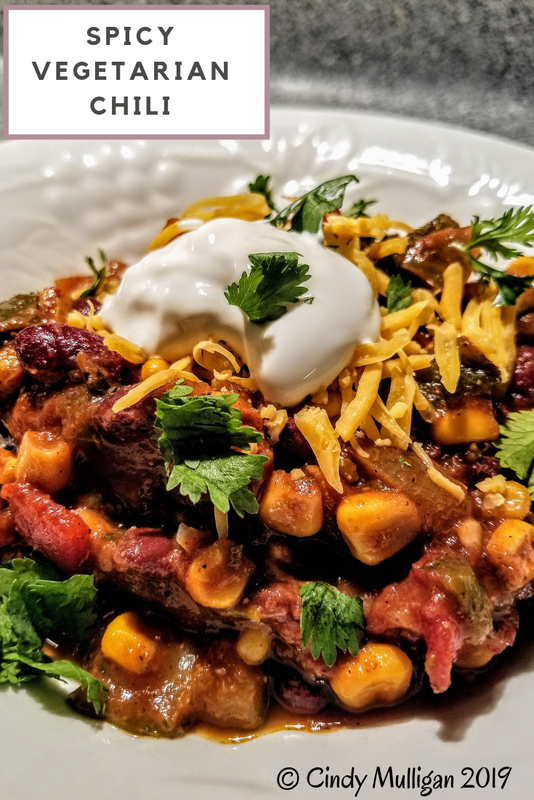 A few weekends ago, on The Barefoot Contessa, Ina was joined by a friend who made some mighty fine-looking chili. 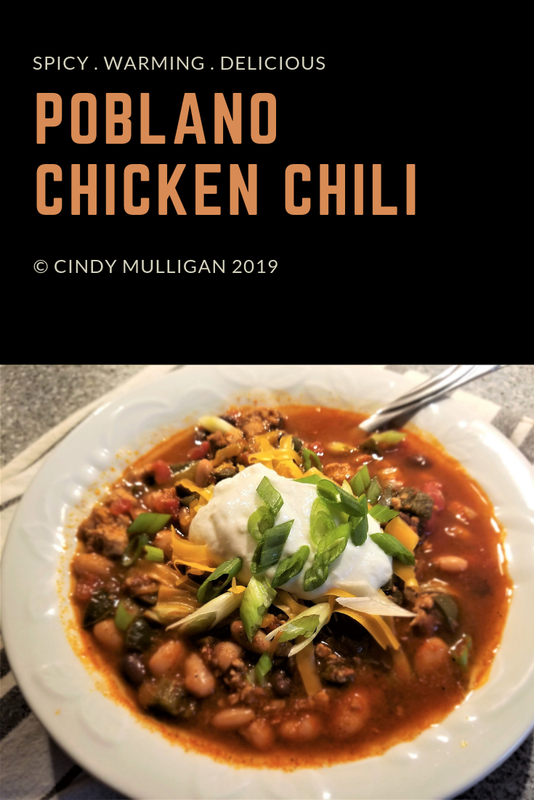 She referred to it as Texas Chili and she’s won awards for it. My mouth watered as I watched her put it together and I was definitely wishing for “taste o’vison” so I could try it too. So, off to market I went. (Well, truth be told – off to market I sent my husband.) I’ve made some adjustments to her recipe – but kept true to most of her ingredients. The chili has the perfect bite with just enough spice to make it interesting – but not so hot that your tongue is on fire. Add enough oil to a heavy pot (that has a lid) to fry the stew meat in – approximately ¼ cup – and heat. Dry the meat by patting with paper towels. Dry meat will brown better. Fry in batches until browned. Remove from pot to a plate or bowl. Fry in small batches so you don’t crowd the pan. Overcrowding will keep the meat from browning. After all the meat has been browned and removed from the pot, add the chopped onions and garlic. Fry for about 8 minutes until translucent. Add the cumin, chili powder, red pepper flakes, cayenne, salt and pepper to the onions. Continue cooking for a minute or two to cook the spices. Add the tomatoes and bell peppers to the onions. Continue cooking and stirring for another 3 to 4 minutes. Add the meat and juices back to the pot, along with the bay leaves. Stir to combine. Add the wine to chili and bring to a boil. Cover with the lid and turn heat down. Simmer for 2 hours. Remove lid after two hours. Add the coffee and beans. Stir to combine, replace lid and continue cooking for an additional hour. 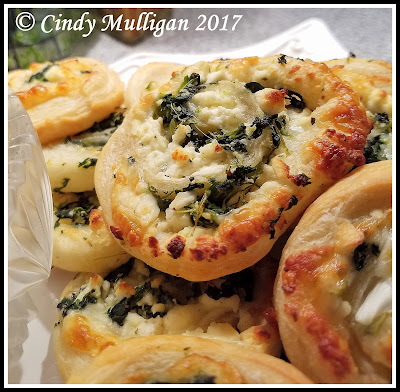 Serve with crusty bread and garnish with sour cream, cheddar cheese and sliced green onions – or whatever your little heart desires. Delish!